Keep the upholstery in your home or business looking great with professional upholstery cleaning services by ServiceMaster DAK. Our trained technicians use upholstery cleaning products, equipment, and cleaning methods that are specific for the type of fabric on your furniture. ServiceMaster DAK will first send out an estimator to ensure that we use the right cleaning method and to test the fabric before cleaning so that we choose the best method for a successful result. We’ll tell you if cleaning, even using corrective methods, won’t improve the appearance much. Honesty and integrity with the customers best interest at heart is how we do it at ServiceMaster DAK. 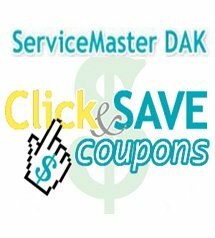 This process is done at no cost to the customer making ServiceMaster DAK uniquely responsible compared to other companies in this industry. We truly are the cleaning people who care! We have been in business since 1975 and offer the best and most reliable commercial and residential upholstery cleaning services in Glencoe, IL and the surrounding areas. Because we understand how clean furniture and carpet can affect the overall appearance of your home or business, you can trust ServiceMaster DAK to do the job right the first time using the latest technology and upholstery cleaning methods. The professionals at ServiceMaster DAK in Glencoe, IL recommend cleaning your furniture as soon as you notice soiling to help protect your investment and improve the appearance of your living areas. We also recommend having fabric protection applied after your upholstery has been cleaned to extend the life of the fabric. 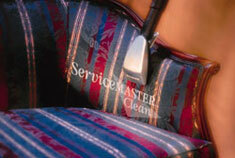 Click our online coupon icon for printable special savings on upholstery cleaning!